Ugh I don’t like any of them, but I guess I’ll go with the paperback since it looks more..I guess..neat. Lol. I’m not digging the red hearts design on her shirt either. I don’t like the hardcover even though it shows what the book is about because it looks too plain and like someone just rushed through it. I have to confess… I’m not really fan of either. 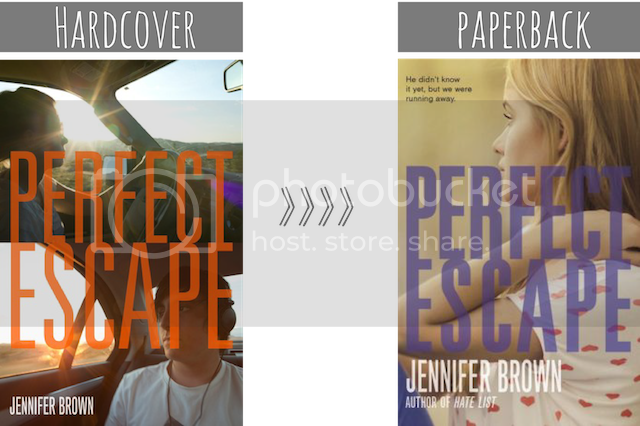 :/ While I do like how the first cover is more reflective of the novel itself, I don’t like how hasty the photography (or choice of stock photos) is. The second cover seems like the girl is just contemplating about running away. I’m conforming and admitting I don’t really like either, too. The hardback is more reflective of its contents, it’s true, but the cut in the middle makes it seem really disjointed, especially because it looks like two separate stock images spliced together. It looks like they’ve had different colour filters applied to them in Instagram, haha!